The Torelló estate dates all the way back to the 14th century shown by a document dated the 17th of June, 1395. Throughout the years the name has changed through marriages but today it remains the original Torelló name which is the 22nd generation on this estate. Finca Can Marti, as it is also called, occupies 135 hectares; 80 of which are strictly for grape vines. 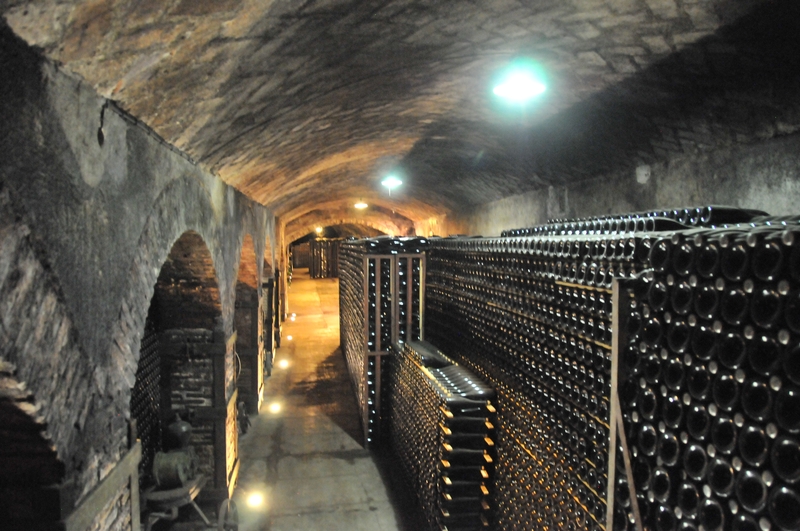 They first produced Cava in 1951 and have been producing high quality wines ever since. The great-grandfather of the current operator Ernestina Torelló helped replant the vines in Penedès that were destroyed in the devastating phylloxera plague that lasted until the end of the 19th century. There is a monument in the council square and even a street honoring him in the town of Sant Sadurni d’Anoia, Penedes. There is now a two day festival in September celebrating the end of this terrible disease where Cava, music, and traditional food takes place. Be sure to wear the color yellow! 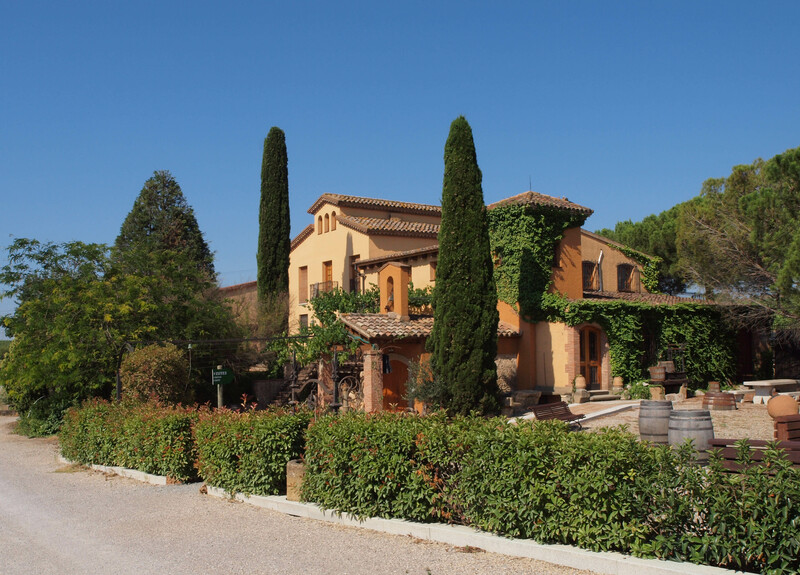 When you first arrive to the Torelló estate you drive down a long windy driveway lined with olive trees and vineyards. The 439 olive trees on this estate are centuries old and are still producing olives used to produce bottles of their own olive oil. There are two main buildings on this estate both of which are from the Medieval ages. 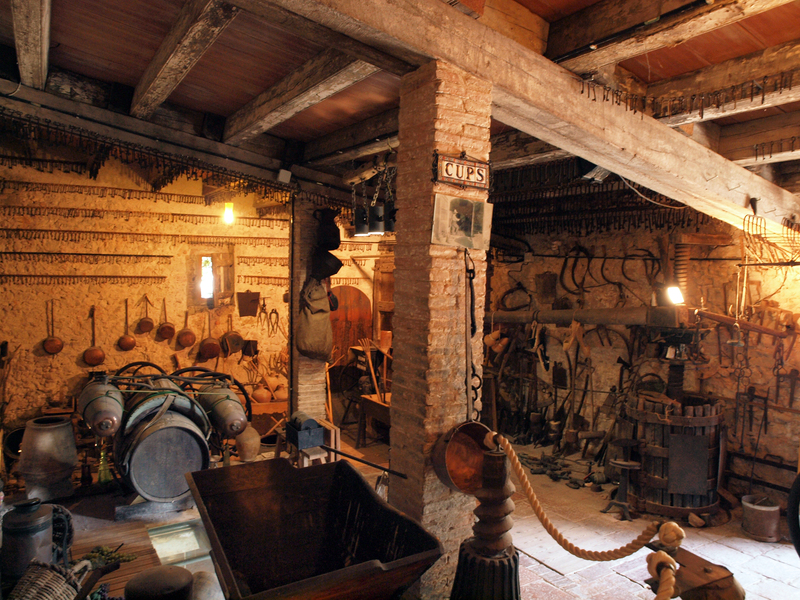 The upper house called the Can Marti De Dalt is the agriculture center whereas the Can Marti de Baix, the lower house, is the center of the cellar and where the installations are situated. 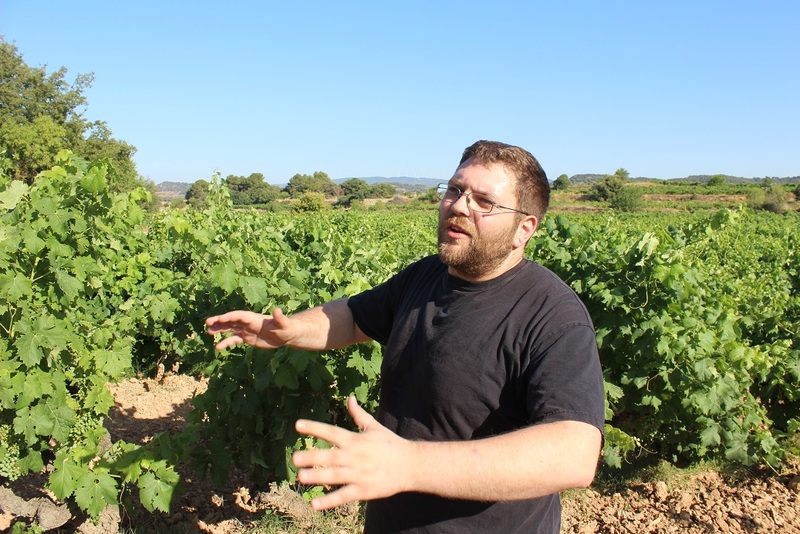 Here in the Alt Penedes they grow the Macabeo, Xarel.lo, Parellada, Malvasia, Chardonnay, and Muscat white grape varieties, as well as Garnacha, Merlot, Cabernet Sauvignon, Pinot Noir, and Syrah red types. No grapes are imported from other areas to make the wines here at Torelló. The Cavas and wines at this winery are produced with one main objective: the strict and passionate care of the vines and grapes on the Can Marti estate. When you begin your tour you follow your guide throughout the process of wine making where you can see they still harvest and sort through the grapes by hand. You’ll learn about disgorgement, the bottling process, and you will also understand the different ageing processes and times. You’re then brought up to the upper level looking over the pool and courtyard where you get a stunning view of the estate and the perfect backdrop. Then you are taken to part of the family’s house where your guide will show you the original family document dating from 1395 protected in a frame hanging on the wall. It is written in old Catalan and Latin since those were the languages back then. Be sure to look at the bride’s box and the antique secretaire chest. Both were used in the family in the past and have incredible history. The passion for quality is very prevalent when visiting this winery. 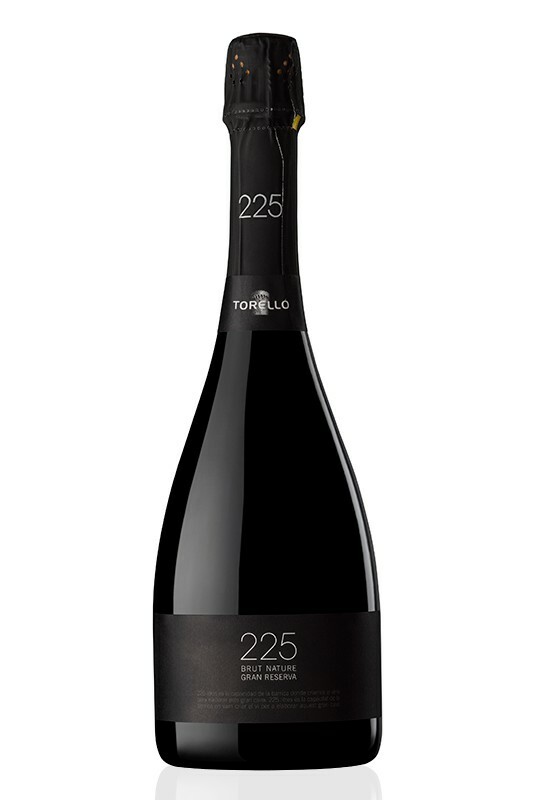 You’ll quickly learn that the winemakers here at Torello prefer more complex and mature styles of Cava and still wine. They say that the bubbles should be in your cheeks more than anywhere else when you take a sip which makes it perfect for summer, celebrating, or just when you want to have a high quality glass of wine. 2017 sees the Torellló Cava amongst the 50 Great Cavas for the first time. 50 Great Cavas is a unique and annual competition only for Cava produced under the rules and regulations of the DO Cava. Cava Torelló 225 Brut Nature Gran Reserva 2010 (94 pts) – A classic Brut Nature Gran Reserva. Fine bubble and mousse with clean yellow straw appearance. Complex toasty notes on the nose, slightly earthy, long and fine. Special Edition Brut Reserva 2011 (92 pts) – Fine creamy bubbles and mousse. Baked apples, quince and vanilla character follows through from the nose to the palate. Crisp and precise wine. Low seated bush vines separated by fields of golden wheat follow the rolling hills within the basin of the small county of Conca de Barbara in the town of Pira, 115 km northwest of Barcelona. As you approach Celler Carles Andreu, you feel the serenity of the crater. Isolated from the rest of Spain, with its own unique weather conditions and soil, Conca de Barbara is the perfect setting for the Trepat grape to thrive. The oldest vineyards, planted by the grandfather of the family, are over 80 years old; the second oldest Trepat vines in Conca de Barbara. Today, the family owns about ninety hectares of vineyards in the Conca de Barberà county, where they mainly grow the traditional grape varieties in this region (Macabeo, Parellada and Trepat). The largest vineyard is only 6 hectares, allowing for more diversity in the vineyards. The vineyards extend across the municipalities of Pira, Forès, Sarral, Solivella, Barberà de la Conca and Montblanc. After decades of growing grapes, in 1991, Carles Andreu established the bodega that still bears his name today. A small bodega housed in the old manor house of Cal Celdonitakes advantage of the space where wine used to be fermented many years ago, respecting the facings and architectural shapes of the house, which was built in 1796. The Andreu family has long respected tradition, and only produces wine with 1/3 of their grapes. The remaining 2/3 are sent to the local co-opp in order to better support the region. From the 1920’s to around 1985 there was no private production in this area. Then, in 1985, Bernat’s father began making Cava. In his first year, he produced 4,000 bottles. Now, the Andreu family is responsible for the production of about 140,000 bottle. All 250,000 kilos of Andreu family wine grapes are hand-picked. The remaining 750,000 kilos are machine harvested and sent to the local co-opp. And, during harvest you will be sure to find Bernat’s father (55 years young) still active in the vineyard. The star grape, Trepat, is local to this region. With a total of 1,000 hectares of in Conca de Barbara, Trepat accounts for about 20% of the total wine production in Conca de Barbara; not to mention, 90% of the world’s Trepat is grown here. The weather in Conca de Barbara is very supportive to the needs to Trepat. They are not coastal, need lots of sun during the day and cool nights. At 400 meters above sea level, this crater seems to be the nursery the Trepat grape needs in order to thrive. 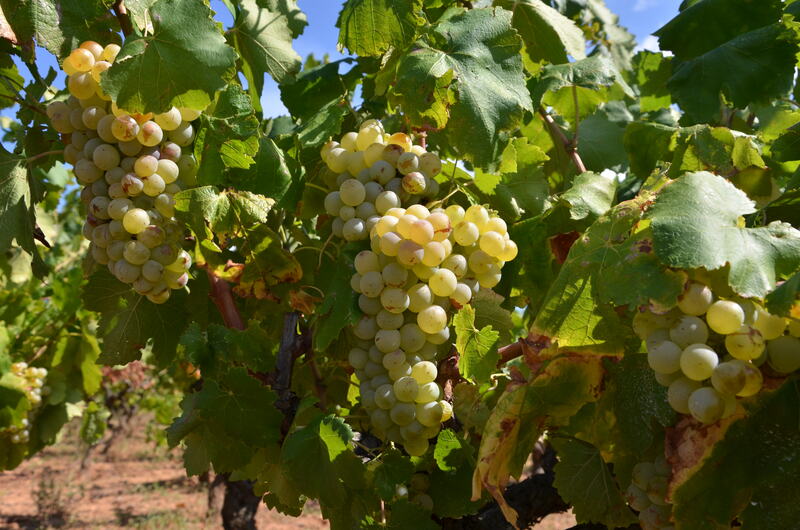 Although the Trepat grape has a dark skin, the sugar concentration is more similar to a white grape, and even during cold and dry years, they are still able to produce. The sugar content in this late ripening grape is ideal for Cava (as well as a beautiful red), with good acidity and low tannin. Carles Andreu Reserva Barrica 2012 A very distinctive style with notes of vanilla and spice on the nose. The palate has fine bubbles & a very attractive forward fruit style with notes of preserved lemons & a long salty finish. Cava Rosat Brut Carles Andreu 2013 A toasty style with more lees ageing evident on the nose. Tart, crisp acidity, ripe strawberry fruit, long & salty. Cava Brut Nature Carles Andreu 2013 More notes of time spent on lees – toasted bread, brioche, honey and roasted nuts. Complex, crisp & fresh but with a real depth of ripe peach fruit character & a long finish. Stands out from the crowd. The 2017 Wine Pleasures Buying Tour programme (part of the Wine Pleasures B2B Workshop Buyer meets Cellar in Spain annual event) for Wine Importers in Spain was a great success. A whole year of planning resulted in a truly memorable buying tour for all involved. Wine Pleasures B2B Spain 2017 – it’s been a great event! Wine Pleasures B2B Workshop Buyer meets Cellar in Spain 2017 has ended. A whole year of planning resulted in a truly memorable event for all involved. We wanted to thank both wine importers and producers for taking the time to attend, and a special thank you goes to all of the producers travelling from Corsica, France, Germany and Portugal for blending in extra flavours. Top 50 Sparkling Wines of the World. Our experts tasted through premium bubblies from around the Old and New World to bring you the best 50 available for 2017. Anthony Swift, Competition Director looks at the results. Close on 100 sparkling wines were entered from diverse terroirs and countries such as: Argentina, Austria, Australia, Brazil, Chile, France, Italy, Portugal, Slovenia, South Africa and Spain. Diverse too were the grape varieties used to make top quality sparkling wines such as Alvarinho and Touriga Nacional from Portugal, Trebbiano & Sangiovese from Italy, Macabeo, Perellada & Xarel.lo from Spain as well as the classic Champagne varieties based on Chardonnay and/or Pinot Noir made in Australia, France and South Africa. 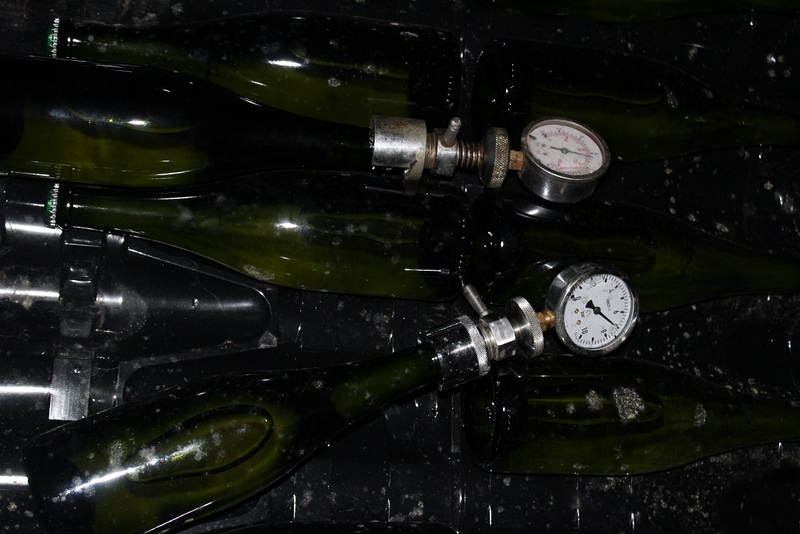 In the case of sparkling wines made using the traditional method these were classified and tasted according to dosage and ageing time on the lees. Sparkling wines made using the Charmat method were classified and tasted according to dosage. This year saw a couple of Frizzantes make the 50 Greats. 10 Sparkling Wines also with Gold and classified as Exceptional are Soldati la Scolca D’Antan Blanc de Blancs Brut & Soldati la Scolca Spumante Brut by La Scolca (Piemonte, Italy), The Rosé by Velenosi (Marche, Italy), QM Alvarinho Super Reserva by Quintas de Melgaço (Vinho Verde, Portugal), La Pamelita & Insolitam by Lobban Wines (Penedès, Spain), Mascolino Metodo Classico Vino Bianco Spumante Brut 60 Mesi by Faccioli Enzo (Veneto, Italy), Brut Art Deco by Champagne Collet (Champagne, France), Cremant D’Alsace Brut Rosé by Caves Meyer Thuet (Alsace, France) & Montesquius Gran Reserva 2004 Brut Nature Magnum by Montesquius (Cava, Spain). Welgemeend Estate Winery Sparkling Symphony 2016 (Paarl/ Stellenbosch, South Africa) & La Canosa Brut Rosé (Marche, Italy) top the ratings each with 95 points and are awarded Gold. Silver medal winners with 94 points include Bettili Cristiana (Friuli Venezia Giulia, Italy) Prosecco Brut Polzner and Velenosi (Marche, Italy) Passerina Brut. The 2017 edition of 50 Great Sparkling Wines of the World takes the form of a 18 page full colour collectable publication and contains all the Gold and Silver medal winners with photos and tasting notes for each. The magazine also outlines how Sparkling wine is made, clarifies the difference between the Traditional and Charmat method. 50 Great Sparkling Wines of the World 2017 is available to view free and is a useful resource for both the trade and the end wine consumer/wine traveller. Golden Bubbles: Wine Pleasures announces the Gold medal winning Cavas for 2017. 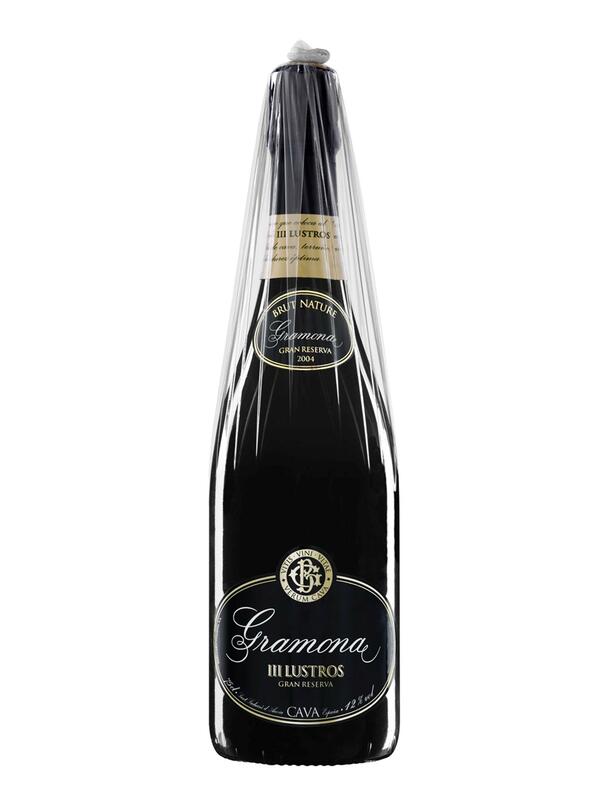 Gramona III Lustros Brut Nature Gran Reserva 2007 wins the competition with Gold and receives a score of 98 points has been classified as Exceptional. 3 Cavas also with Gold and classified as Exceptional each with 97 points are Capità Vidal Gran Fuchs de Vidal Cava Brut Nature, Gramona Celler Battle Brut Gran Reserva 2005 & Gramona Argent Rosé. Still in the Gold medal category and classified as Outstanding (96 -94 pts) are the following Cavas: Valldosera Subirat Parent Brut Nature (Finca Valldosera), Grand Cuvée (Summaroca), Ramón Canals Gran Reserva Limitada 2010 & Duran 5V Gran Reserva (Canals Canals), Gramona Imperial Brut Gran Reserva (Gramona), Adernats Gran Reserva Brut Nature (Adernats), kripta Gran Añada 2006 (Agustí Torelló), Cava Gran Reserva “Cuvée Antonio Mascaró” & Cava Rosado Mascaró Brut “Rubor Aurorae” (Mascaró), Montesquius Gran Reserva 2004 Brut Nature Magnum (Montesquius), Pere Mata Reserva Familia, Pere Mata Cuvée Barcelona & Pere Mata Cupada Rosé (Mata i Coloma), Lágrima Real 2010 (UVESTE) Cava Mas Tinell Carpe Diem 2007 (Mas Tinell), Celler Vell Gran Reserva Extra Brut 12 (Celler Vell), Essential (Juvé y Camps), Codorníu Reina María Cristina Blanc de Noirs & Jaume Codorníu Gran Reserva 2011 (Codorníu), Vallformosa Cava 150 Brut Gran Reserva (Vallformosa) & Castellroig Brut Nature Reserva (Sabaté i Coca). 61 Cavas classified as Highly Recommended were awarded Silver medals. Most of the medals were awarded to producers in the Penedès wine region (Catalonia) but several awards went to producers in Calatayud, Extremadura, La Rioja & Valencia. Some interesting retail prices too amongst the 50 Greats ranging from €5,95 to €50 Euros making Cava a luxury you can afford whenever you wish. Those looking to splurge on long aged Cava (Cava Grand Reserva Larga Crianza) should try to get their hands on prize winners from prestigious Cava producers Agustí Torelló – kripta Gran Añada 2006 (120 months), RRP €80 & Gramona – Celler Battle Brut Gran Reserva 2005 (120 months), RRP €50. Mata I Coloma (Sant Sadurní) received three Golds for its Pere Mata Reserva Familia, Pere Mata Cuvée Barcelona & Pere Mata Cupada Rosé. The Nastl winery is a celebrated winery in the Kamptal area of Austria, in the lovely town of Langenlois. They are a particularly well-known producer of the Grüner Veltliner in Austria. Due to the specialization of this grape, they are able to offer five different types of wines made from Grüner Veltliner grown in their own vineyards. The tradition of winemaking in the Nastl family dates back to as early as 1656. 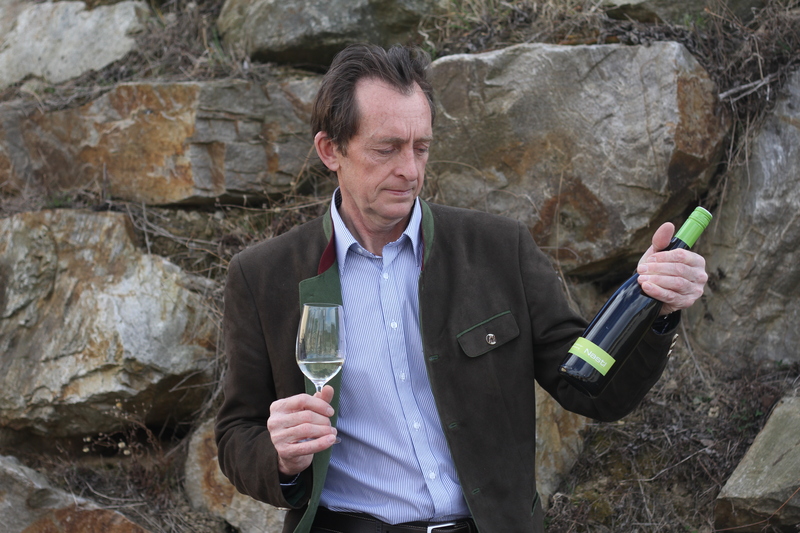 For nearly 400 years, the Nastl family has been creating wines of outstanding quality in Austria. The heads of the family today are Günter and Renate. They, alongside their children Christian, Alexander and Petra, have taken the winemaking to a whole new level of excellence. The entire family exudes special passion for food and wine. After nearly two decades of growing grapes and wine making, the family decided that it was time for a new cellar. The idea was to combine the typical underground cellar, which is carved deeply into the loess beneath the winery, with a new cellar that can meet all the requirements for state-of-the-art winemaking. It was in 2003 that the new cellar was inaugurated with the first harvest. The three level cellar is a marriage of four hundred years of wine making tradition and more efficient modern wine making techniques. Langenlois, hometown of the Nastl family, is the biggest wine town in Austria. Situated in the romantic Kamptal region of Lower Austria, only 70 km northwest of Vienna. The landscape is a picturesque expanse of rivers and rolling hills dotted with castles, manors and wineries. The name of this region comes from the river Kamp, which flows through this area and lends special qualities to the terroir here. This area is famous for not only the aforementioned Grüner Veltliner, but also Riesling and Muskateller (also known as Muscat Ottonel). The terroir is perfect for these grape varietals. The sandstone slopes are very steep, so only a thin layer of soil is retained, and exposure to the sun is high. Riesling thrives on steep slopes such as these. The micro-climate and soils are perfect for growing grapes to create delicate and refreshing wines. The atmospheric conditions allow an interplay between hot days and cool nights, and the terroir is mainly rock, silt and loess. These are some of the factors that impart lively aromas, subtle fruit, complexity and bright acidity to the wine. The Nastl family not only produce some of the most remarkable wines of the area, they have also run a special restaurant, known as the Heuriger, for over 40 years! This luminous, cozy space is nestled in a grove of walnut trees near the Nastl winery. The restaurant is open for a few weeks at a time, only three times per year (April, August and October); to offer carefully selected pairings of traditional Austrian cuisine with their exquisite wine. They also host tastings and special events. The Nastl winery offers tours and tastings, and reservations must be made in advance directly through the winery. Riesling Sekt (Silver medal with 93 pts) Mango, papaya, candied fruit and melon with hints of flowers. Palate is medium bodied and fruity, boasting a great seam of acidity. Youthful. The story of Les Caves Richemer begins in France in the year 1998. This is the year that the cooperative wineries of D’Adge and Marsaillen were married, bringing 450 winemakers together and giving birth to what would soon become numerous wine ranges of outstanding quality. The name Les Caves Richemer comes from Henri Richet, a legendary local winemaker who became very wealthy from sea borne wine trader, especially vermouth. The cooperative adopted the name Henri de Richemer, and working together they began to thrive and create exceptional wines. Each year, at the end of the summer, hoppers loaded with grapes sit side by side the numerous boats docked at Marsaillen. 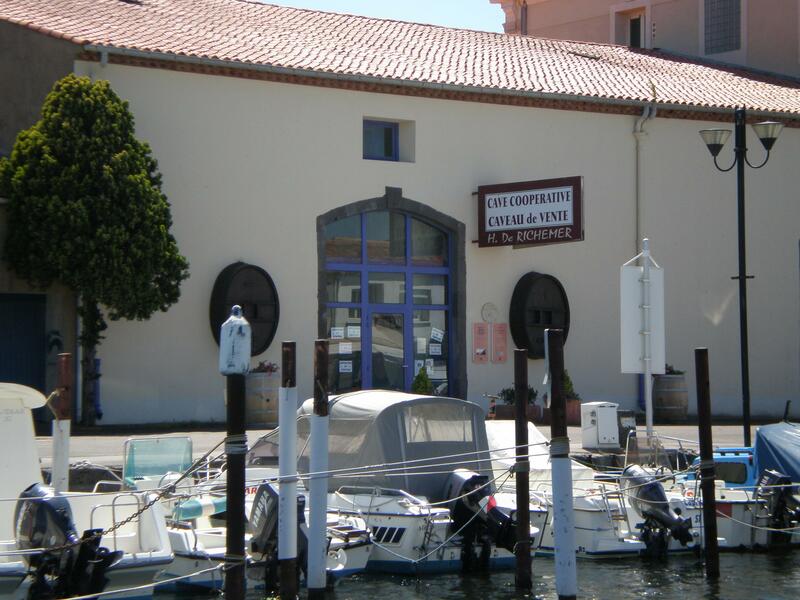 This is because the wine cellar of Henri de Richemer is in the very heart of the city, on the port! The wines are sold very close to where they are produced, in the three wine shops of Les Caves Richemer, those in Marsaillen-Ville, Marsaillen-Plage (the beach of Marsaillen) and D’Adge. 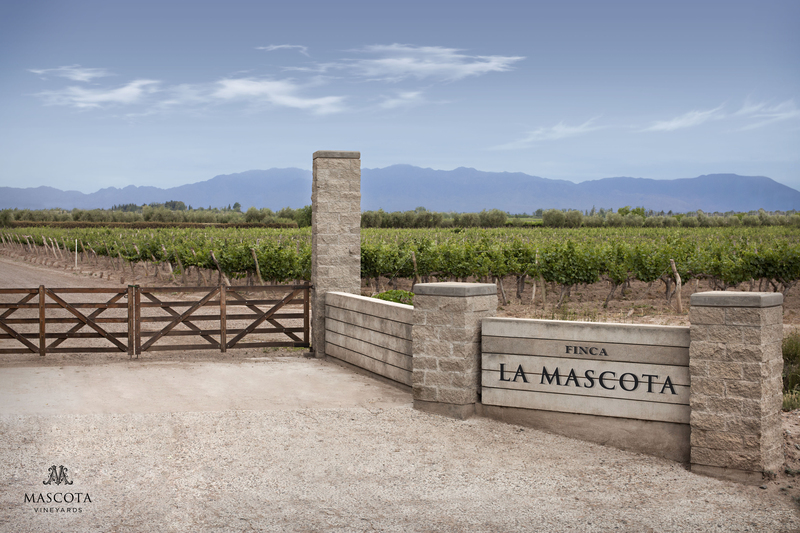 The 450 winegrowers of this cooperative have a combined 1,500 hectares of vineyards. 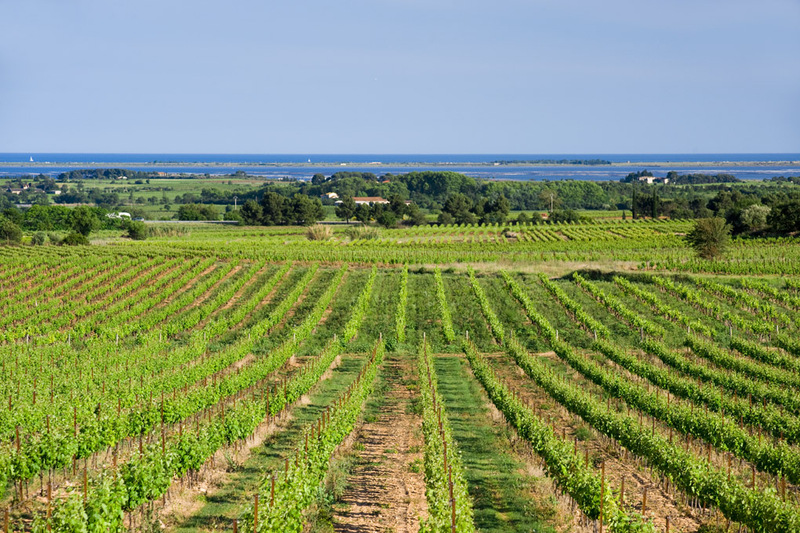 In their unique location between land and sea, the vineyards of Les Caves Richemer create exceptionally bright white, rose and sparkling wines. This is partly because of the soil in the Mediterranean waterfront, which is mainly composed of tertiary sediments (clay and sand) and quaternary (gravel) which are particularly conducive to growing grapes with delicate and complex flavours. The climate of this area is heavily influenced by the vineyards’ proximity to the second largest lake in France, the Etang de Thau. This is the largest in a string of lagoons in France that stretches from the Rhône River to the foothills of the Pyrenees, and lends a specific moisture and freshness imperative for creating beautifully subtle and delicate wines. Their ranges include wines made from traditional single grape varieties such as Chardonnay, Viognier and Cabernet Sauvignon. Their iconic range of cuvées, the Terre & Mer, focuses on vins de pays made with local varieties of grapes. These are Terret for whites, Marselan and Syrah for rosés and reds, and both noir and blanc Piquepol. Only the oldest wines are used for this range, which is the special of Les Caves Richemer. These are very special grapes and the wines that the cooperative of Les Caves Richemer have created with them are truly outstanding. The doors of the cellar of Henri de Richemer face the beautiful port, and surely have had a hand in perpetuating the traditions of the first port on the Thau, as well as promoting the rich architectural and urban heritage of the waterfront. Terre &t Mer Brut (Gold medal with 96 pts) Fresh orange and floral notes. Fruity attack with sprightly acidity. Clean lines. Short pleasant finish. Youthful.